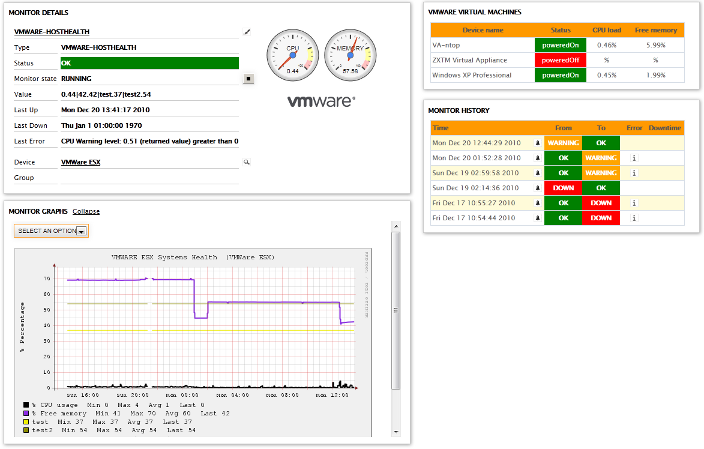 Next to monitoring the infrastructure & network layers in a server room or DC, ServersCheck's Monitoring Platform can also be used to monitor the systems running in your environment: physical, virtual or cloud based. 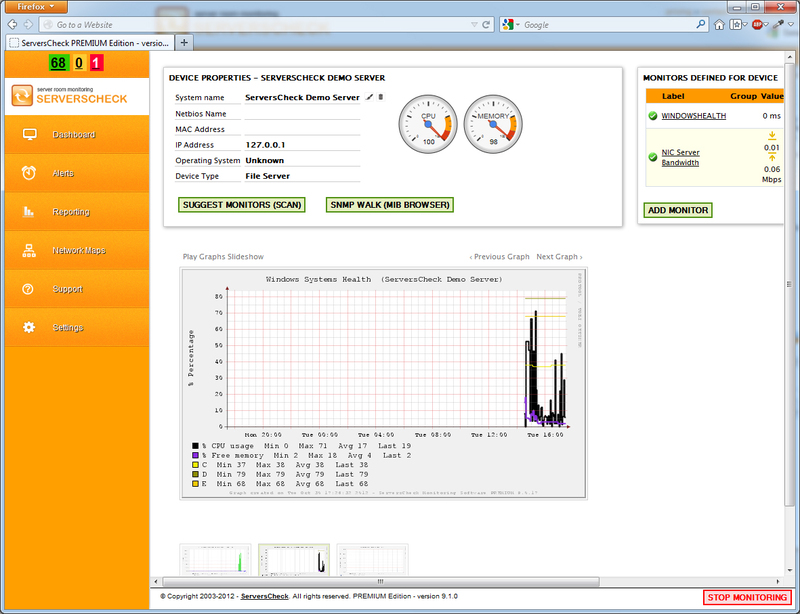 With ServersCheck one can easily monitor the hardware layer (network interfaces, disks, ...), the operating system layer (CPU, memory, event logs, ...) and the software application layer (services, processes, ...). Wouldn't it be nice if servers came with "Failure Schedules". That way you could circle the dates on your calender and plan ahead for catastrophes. Unfortunately, the only thing that we can predict with any accuracy is that the server will fail and, when it does, it will be at the worst possible moment. Where will you be when the server finally does go down? On vacation, or a day off, or sound asleep in bed? And how will you find out that your server went AWOL? Unless you've got 24/7 server monitoring software, you might not know you've got a problem for hours. How much business will that cost you? It's a shame that more of us don't do something to mitigate a disaster that we all know is going to occur until after we have a problem. Why risk unnecessary down time when you can be instantly notified whenever a server problem occurs? In fact, depending upon the problem, you could even get advance warning that a crisis is brewing. For less money than it costs to respond to one after-hours server emergency, you can get 24/7 peace of mind by simply installing a copy of our ServersCheck Server Monitoring Software. It's designed to run on Windows 2003/2000/XP Professional based systems, and it can monitor any OS based system or device (Windows, Linux, Unix, MacOs, or FreeBSD). There's even a special version for Managed Service Providers. Imagine how your life will change when you have a 24/7 watchdog running as many as 45 different hardware and software checks. Imagine how fast your response time can be when this watchdog becomes a bloodhound and tracks you down via voice phone (text-to-speech), e-mail, pager, SMS, MSN, HTTP, or network message. It can even execute an application, start a service, or reboot a server. And that's just for starters. See how easy it is to gain the peace of mind that comes with knowing that your critical server systems are being watched over even when everyone has gone home. Click here to learn more about our server monitoring solution and to download a free trial version. 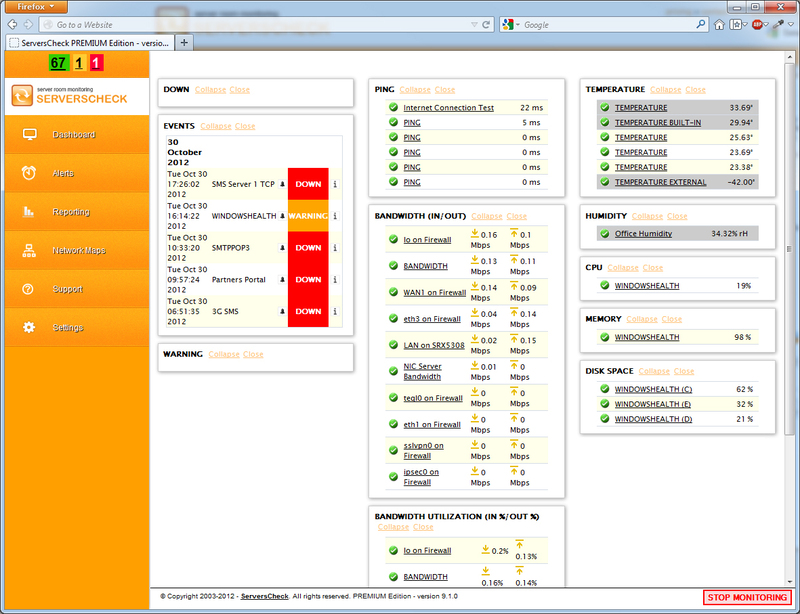 Download the free ServersCheck Monitoring Software and start monitoring your systems.